The Fifth Annual Phoenix Morton Cure Paralysis Fund Golf Tournament will take place on Friday, March 4, 2016, at the Arizona Grand Resort in Phoenix, Arizona. The weather will be spectacular so sign-up your foursome today! And contact MCPF at 612-904-1420 for more details on corporate sponsorship opportunities. Local players know the golf course has quite a long history. Originally called The Pointe Golf Club at South Mountain and later, Phantom Horse, this picturesque layout is one memorable golf experience. Created by Forrest Richardson, a well-known Arizona architect with a passion for artful design, Arizona Grand dazzles golfers with its blend of traditional links, dramatic elevation changes and strategic routing. 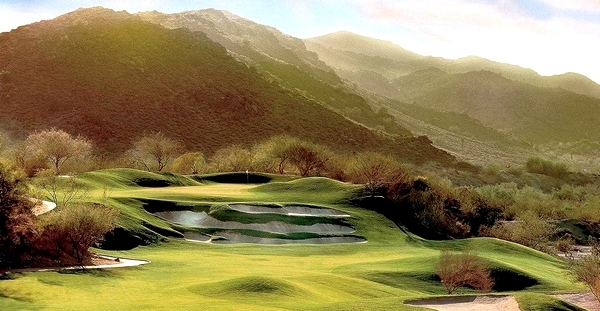 Read the full Arizona Grand golf course review at the Arizona Golf Authority.